We recently returned from the beautiful island country of Palau, located in the western Pacific Ocean, where Plastic Pollution Coalition co-hosted an expedition with Oceanic Society, Drifters Project, and Heirs to Our Oceans with support from Mission Blue, to work together with local Palauans to explore potential solutions to plastic pollution. The Plastic Pollution Forum, hosted by Heirs to Our Oceans, was held at the end of the week, where representatives from three local high schools came together with visiting Heirs from the U.S., business leaders, educators, and elected officials to brainstorm solutions. Dr. Sylvia Earle was a special guest speaker at the Youth Forum and spoke to the great beauty of Palau as a mighty island country in the vast blue still unexplored Pacific Ocean. The students were able to set some benchmarks for ways to reduce plastic pollution that they want to see come to fruition within the next year. One idea was to take a look at each of their own school’s plastic footprint and ways to reduce it. Palau has a long history of advocating for the environment. The Rock Islands are a UNESCO World Heritage Site and Marine Protected Area, and the country banned single-use plastic bags last year. Over the summer, Palau's President Tommy Remengesau signed an executive order banning single-use plastics from all government offices and agencies. In early November, Palau became the first country to ban harmful sunscreens that are toxic to coral reefs. 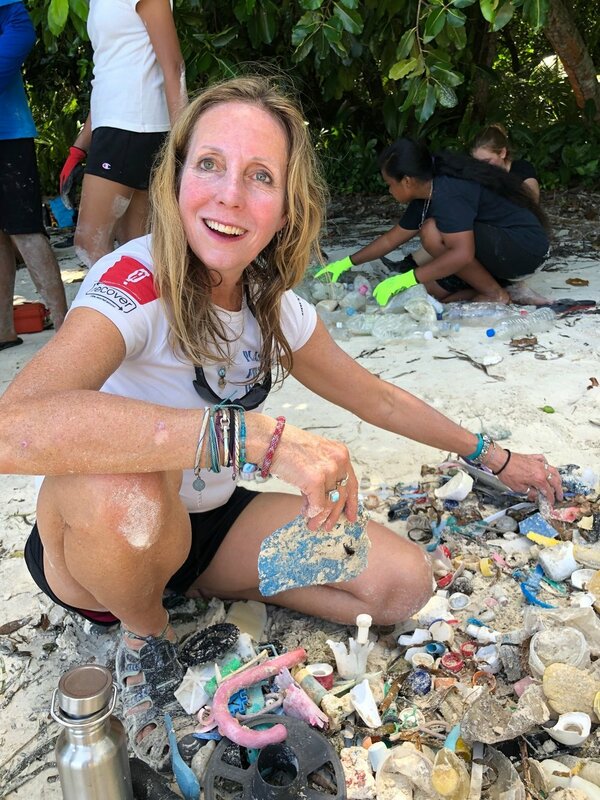 As Pam noted, we found most of the plastic pollution in the forested shores and mangroves of the islands, which unfortunately makes it less visible and therefore less likely to be cleared. Pam led a “forensic beach cleaning” training with the group, which was followed by plastic retrieval of material from hundred-meter ropes and nets down to micro-scale plastic, then sorting, counting, removing colored material for the creation of the art piece, and finally loading the bags onto the boats for transport. Palaun Heirs including Bridge Thomas, Deputy Secretary for Our Ocean 2020. Photo by Dianna Cohen. Coca-cola bottle cap found during the beach clean up and brand audit. Photo by Dianna Cohen. Pamela Longobardi of Drifter’s Project and a PPC Supporting Artist Ally collects beach plastic during the clean up and brand audit. Photo by Wayne Sentman. Beach plastic. Photo by Dianna Cohen. 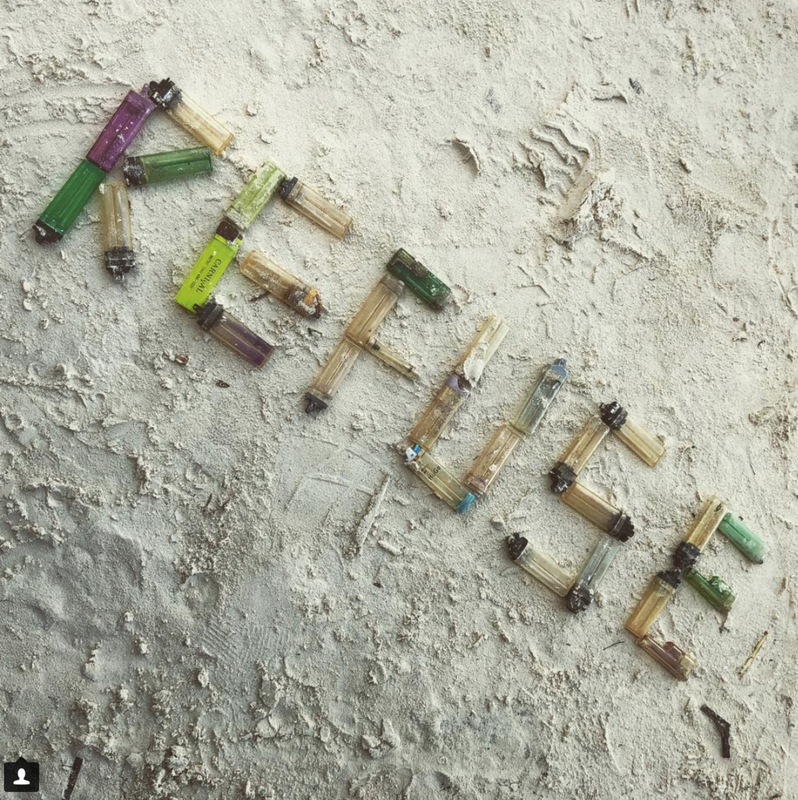 Plastic lighters collected on the beach. Photo by Dianna Cohen. Art made from beach plastic, recreating the State of Koror flag. Photo by Dianna Cohen. Plastic lighters collected from the beach. Photo by Wayne Sentman. The people of Palau have been working to stop plastic pollution from harming their local environment for more than 10 years. Photo by Wayne Sentman. 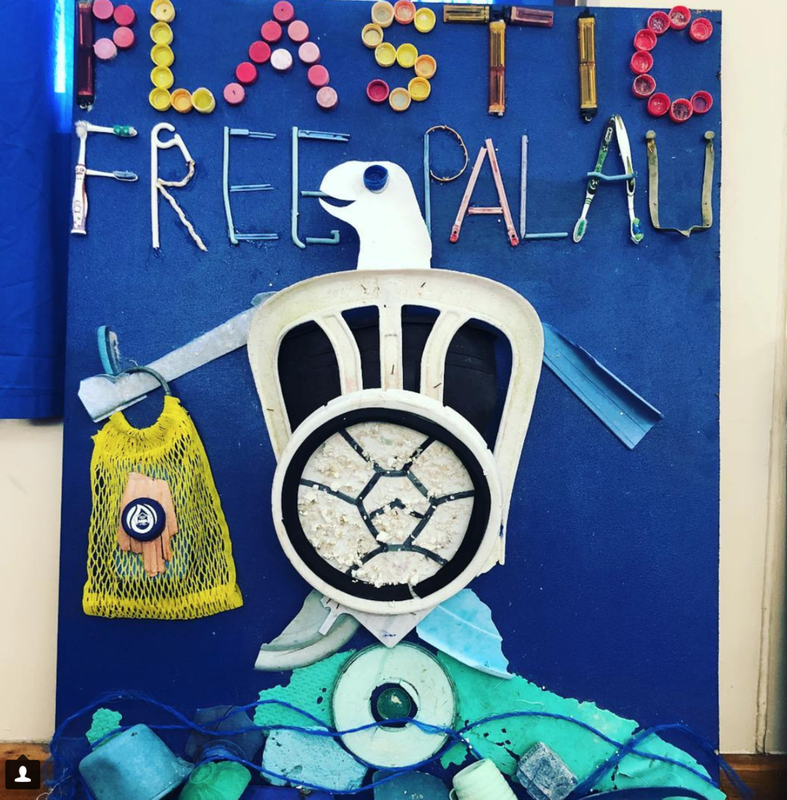 Plastic Free Palau sign made by students from plastic collected from the beach. Photo by Dianna Cohen. Seahorse photo by Dianna Cohen. Dr. Sylvia Earle of Mission Blue and PPC Founding Advisor. Photo by Dianna Cohen. In addition to being inspired by the youth, we appreciated the opportunity to speak with the President Remengesau and his ministers about the plastic pollution reduction achievements the country has made so far and to brainstorm ideas together as Palau prepares to host the Our Ocean conference 2020. We commend the Palauan government, the local Heirs, and business and community leaders and members for their great work and commitment to protect their environment, and we look forward to continued partnership toward a world free of plastic pollution. Learn more about Plastic-Free Islands.